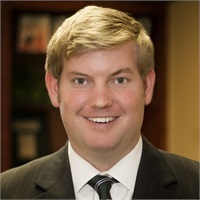 Matthew Hulse | Legacy Planning Partners, LLC. A lifelong Tulsan that spends his working days traveling the country helping small business owners discover the importance of protecting their most valuable assets, the business, and its employees. He focuses on three primary areas of business planning; employee benefits, key-executive benefits, and owner benefits. Whenever he is not breaking business owners away from the rest of the herd you can find him spending time with his wife, Paige and his hunting companion Koda, their chocolate lab. He also enjoys jamming on guitar, shooting waterfowl, perfecting his own craft beer, making it to the 19th hole, and cheering on the lifelong disappointing Kansas City Chiefs.